When people think of March one of the first things they think of is March Madness and the NCAA Tournament. Not here at 911 Restoration! With Spring upon us and temperatures heating up, mold is a common concern for homeowners in hotter areas of the country. To bring more attention to mold and the many health problems they can cause we’re having a Tournament-style Contest called “Mold Madness”. 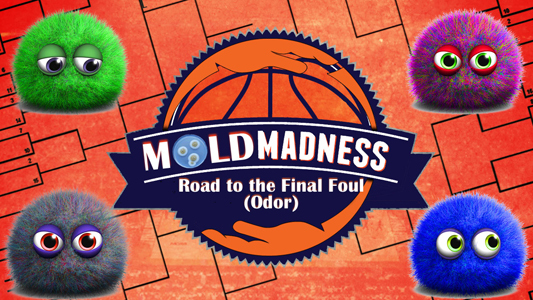 The bracket with the most points at the end of the “Final Foul (odor)” wins a $100 Visa Gift Card! Step 2: CLICK HERE to Vote for each Match-up in the Mold Madness tournament bracket. Step 3: Enter your Name, E-mail, and Submit your Picks. Then watch the Madness! Winner will be announced on Wednesday, April 20th 2016.